Gulf Front! 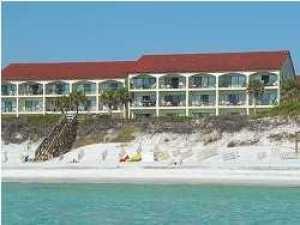 You can't beat the location of this one bedroom/two full bath with hallway bunks, gulf front condo. Located in the heart of Seagrove Beach Approx. One mile east of Seaside, this is the best of both worlds- within walking or biking distance to shopping and restaurants in both Seagrove and Seaside. This condo is on the 2nd floor. This unit is sold furnished. Linens & KABA lock is property of the rental management company and does NOT convey. Square footage is approximate and should be verified by buyer.